The provider questions during the interview are every bit as important as the questions parents are asking. You should also be asking questions to insure the family in question would be a good fit for your program. Listen carefully to the answers and ask follow-up questions if necessary. Has your child been in daycare before? If yes, for how long? Why was care terminated? Do they have any problem with you contacting the former provider? Pay close attention when this provider question is answered. I would be careful moving forward with anyone who had a problem with you talking to a former provider. There are some parents who will jump from daycare to daycare, usually owing money to several providers. If a parent is in the process of changing providers, ask if they plan to fulfill any contract they may have with the current provider. If not, I would also be leery of moving forward. If no, who has been the primary caretaker for the child? If the child has primarily been at home with a parent, especially in the case of an only child, you may want to ask if the child has been a part of other groups. Examples: sports, activity classes, play dates, etc. This is an important provider question to ask. This is because a child who has not had opportunities to be social may have a little harder time adjusting to a daycare situation. This does not mean you shouldn't accept this child, it’s just helpful to know this in advance. How long do you expect to be needing child-care? The answers you get will vary. I had one family tell me they were looking for care for three weeks, and others who planned on long term care and were in my daycare for many years. At least you’ll get a rough time frame instead of being surprised down the road. Does your child have any known health issues? Most often the answer is no, but I have had a few children with health issues. This is something you should know up front, so that you can make an informed decision about whether or not you are capable of handling the situation. Does your child have any special needs (religious, food allergies, etc.)? Most often, parents will tell you right away, but if nothing is mentioned, make sure you ask. You don’t want to be caught off-guard later. Are you (or a designated person) able to pick up the child in case of accident or emergency? It is important that you are able to contact parents and know that they will pick up a child at your request. Find out during the interview if this will be a problem. What is your child interested in? This is one of the provider questions that can be directed toward the child during the interview. Do they like board games, baby dolls, toy cars, sports, etc.? This helps you to know if you have the appropriate items to keep the child entertained, or if they share an interest with another child in your care. What type of eater is your child? Is the child a hearty eater or on the picky side. What are the child’s favorite foods? Least favorite? Again, if they are old enough, this is a question that can be directed to the child themselves. What type of sleep schedule does the child have? Does the child have regular nap times and bedtimes? Is the child simply allowed to stay up until they fall asleep? Realize that children without regular sleep schedules may be fussy and uncooperative during the day. Does your child have any behavioral problems? I'll be the first to tell you that some parents will tell you there are no problems, when in fact, there are. Other parents will down-play an issue. Thankfully, most parents will tell the truth. What are your expectations of a daycare provider? This is one of the more interesting provider questions. The answers will be as varied as the parents. Parents have mentioned home safety precautions (locking up toxins, etc. ), treating the child as the parent would, or helping to teach them basic concepts (colors, numbers, etc.). I had one parent who, when asked this question, simply replied, “Just don’t lose my kid”. He was in my care for just over two years, and I assure you, not a single time did I “lose her kid”. Do you have back-up care? While some states require the provider to provide back-up care in the event they are unavailable for daycare, other states do not. If you do not provide this, make sure the parents are aware of your policies right away. Are you willing to sign a contract? 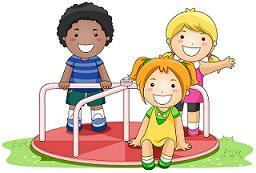 Because you are a professional child care provider with a business, it is important that you treat it as such. You should have signed contracts with everyone you are providing care for. Some parents will balk at the thought of being locked-in, but it is the only way that you have to protect yourself. I personally would not accept a child if their parents refused to sign a contract. These are the basic provider questions you should be asking. Depending on your own daycare, you may find other appropriate questions to ask also.